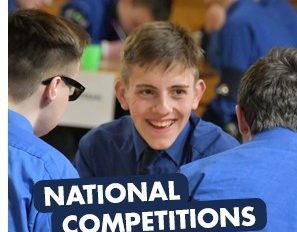 National Competitions 2018-2019 . . .
Get involved in the Brigade's National Competitions next session. Every year hundreds of Companies get involved in the competitions including Badminton, Chess, Football, Table Tennis and Masterteam. You only need a small number of young people to be able to enter so the competitions are accessible to all Companies. Entries must be received by 24th September 2018 in order to participate in the 2018-19 competitions. Could your young people be in the finals of one the national competitions next session?